Today the presence of humidifiers in babies’ nurseries has become a common occurrence. Colds being indiscriminate have made humidifiers a parent’s best friend. We have all had our fair share of colds and know all too well the discomfort one faces when a cold is running its course. Home remedies, prescription medication, vaccines and over the counter medication are all steps we take towards getting rid of a cold and its prevention. These remedies are not always a viable solution, especially if your child is under six months as babies at this age cannot process these remedies. In such cases, doctors often recommend the use of a humidifier to help ease these symptoms. A humidifier works by raising the humidity level in a room. This is usually a necessity, especially in dry climates or during winter months where forms of heating strip the air of its moisture content. The higher moisture content provided by a humidifier is helpful when it comes to lower and upper respiratory tract infections. The moisture helps to loosen mucus secretions which are symptomatic to colds and in turn unclogs the airways. 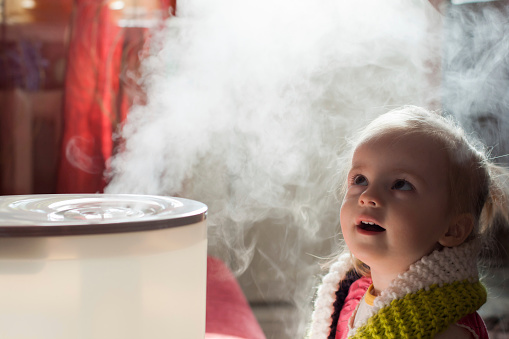 A humidifier provides parents with not only a way to help ease their children’s symptoms, but also acts as a preventative tool. The cold virus best thrives in cold and dry air this makes the use of a humidifier a wise preventative tactic. A humidifier if not used properly can bring about high levels of relative humidity. This provides a breeding ground for mold and a conducive environment for dust mites. High levels of relative humidity could also cause hypersensitivity pneumonitis or humidifier lung. The recommended humidity level ranges from 30% to 50%; you should therefore ensure humidity levels in the room are kept within the recommended range. 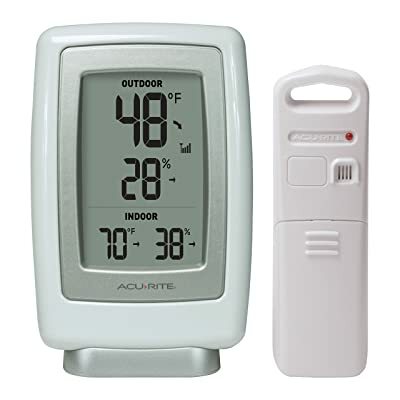 The wireless thermometer and humidity sensor enables you to properly monitor humidity levels via its convenient LCD display where you can adjust levels to the preferred level. 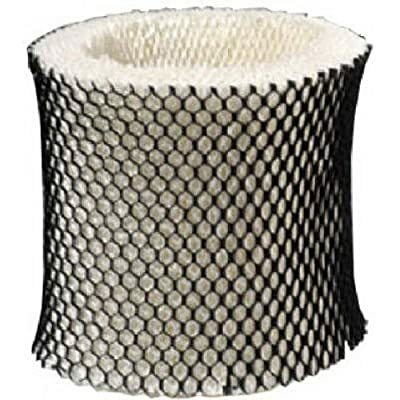 A humidity filter is used to remove minerals and pollutants found in water and moisture. The filters are treated to give them anti-microbial capabilities. 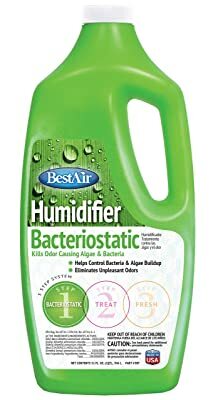 This prevents the growth and migration of mold, bacteria, algae and mildew in the room or home. This reduces the risk of your humidifier begin a health hazard by facilitating the spread of allergens and diseases in your baby’s nursery. 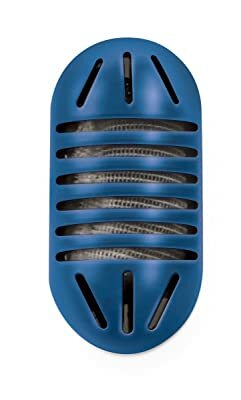 It can be bought as an accessory for humidifiers without one or as a replacement filter for humidifiers that come fitted with one upon purchase. A cleaning cartridge can help extend the life of your humidifier. 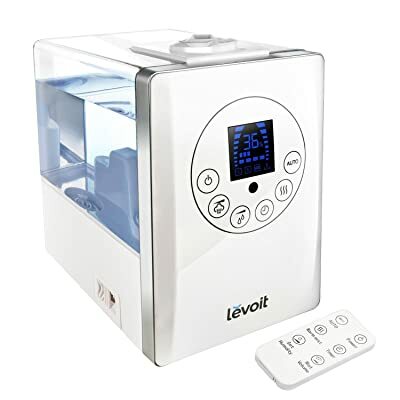 It works by running its cleaning formula through the humidifier which will dissolve all the calcium scale, lime and mineral deposits making your humidifier run more smoothly and efficiently. 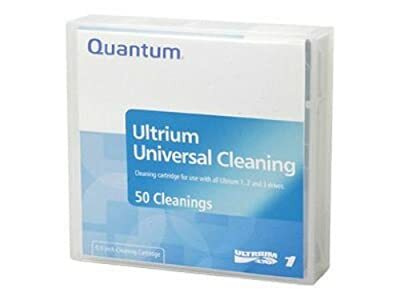 It also helps control odor caused by the build-up of mineral and lime deposits while providing an antimicrobial formula that helps kill mold, bacteria and algae. The water you put in your humidifier’s water tank is at times not the safest or can at some point be subjected to the elements that contaminate it. Babies are highly sensitive to bacteria and microbial elements such as algae, thus your humidifier should emit clean moisture. The bacteriostatic water treatment solution helps to assure you of this. The humidistat ensures you never get it wrong when it comes to maintaining the proper humidity levels in your baby’s nursery. 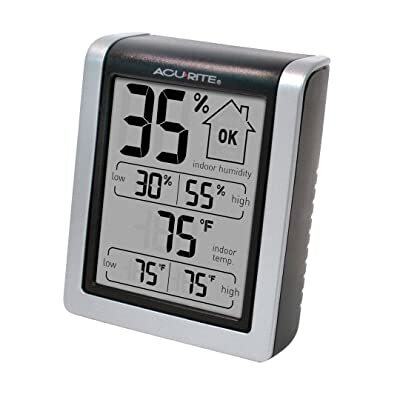 It not only indicates the relative humidity level, but also automatically regulates the humidity levels and keeps them within the preferred levels. You will however have to input the relative humidity level of your choice and the humidistat will do the rest. This accessory usually aids in the demineralization of water in the humidifier to help prevent build-up of white dust over time, which can be an allergen. Replacement of the demineralization cartridge should be done every two to three months. However, if you use hard water you should do this more often. 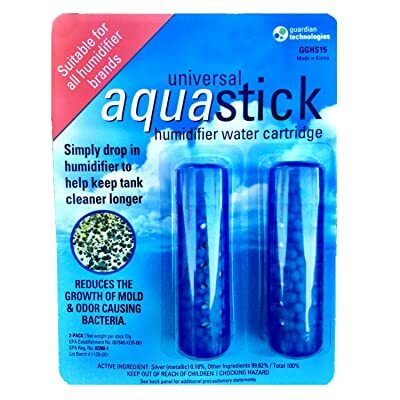 The aqua stick, essentially helps to keep the water in the humidifier’s water tank clean by reducing the growth of mold and bacteria. The aqua stick is a non-toxic and chemical free tank cleaning product. 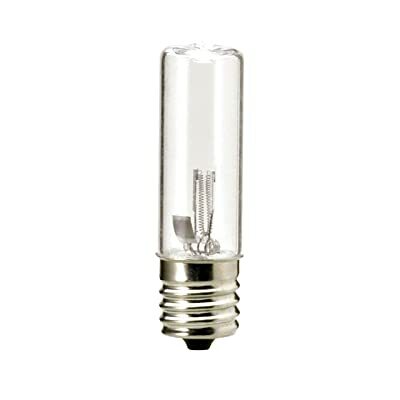 This is usually a 3.5 watt UV-C bulb which features in humidifiers and is used to eliminate airborne bacteria. It is estimated to kill 99% of airborne bacteria. The recommendation is that you change the bulb every 6-8 months for effective prevention. A humidifier provides numerous benefits to your baby and at times the occupants of the entire home; you can however add a refreshing or calming scent to accompany the benefits. 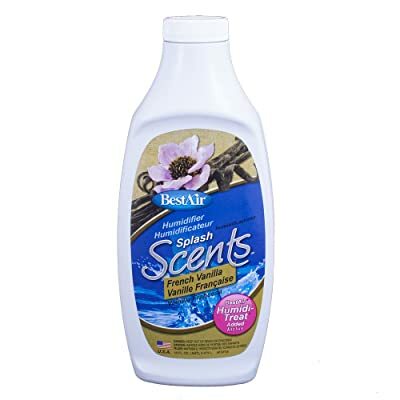 The fragrances come in many different scents such as cinnamon, vanilla, ocean breeze and rain forest mist. It is however not advisable to use the fragrances in vaporizers or ultra-sonic humidifiers. Remote controls are a highly used and convenient accessory; humidifiers have not lagged behind when it comes to this as it is an offered feature in some brands. This reduces the hustle of accessing your humidifier controls directly from the source and gives you the convenience of operating it remotely in comfort. There are numerous brands of humidifiers available in the market today, while some of the accessories above are universal and can be used across all brands and models, some are brand specific and others are model specific. While buying accessories that are brand specific and/or model specific ensure you are equipped with your humidifier’s brand name and model. For safety reasons ensure you place your humidifier on a flat surface that is out of reach by children, especially if it is a table front humidifier. A child lock is a necessary safety feature on your humidifiers connecting socket. 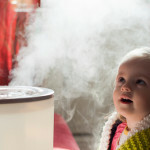 Vaporizers and warm-mist humidifiers usually run at high temperatures and can cause burns, it is advisable that you do not use them in children’s rooms.